It all started with smoking crabs. But crab is very messy to eat and although I prefer crabs over shrimps, it was difficult for me to get the same type of crab at the market within a week. So I decided to look into shrimps again. Cantonese love their seafood fresh and simple. 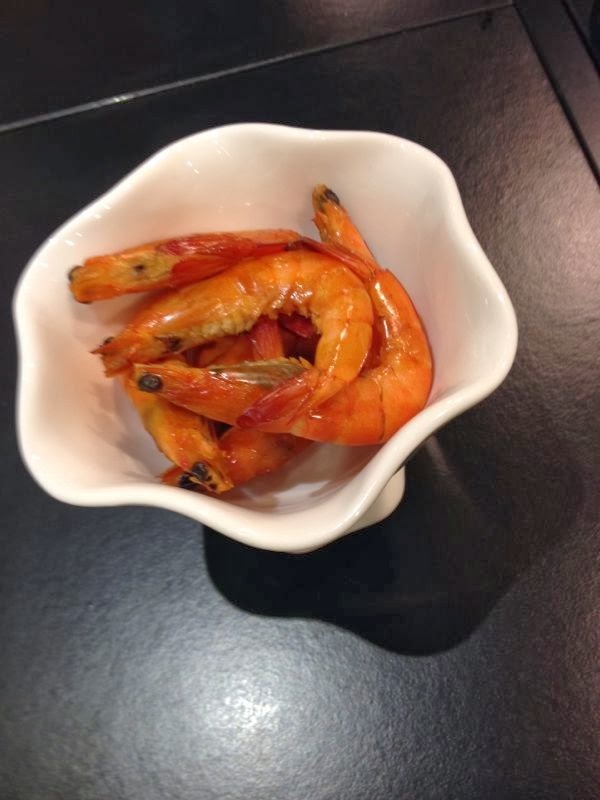 These finger long shrimp are always available at the market. Usually they are poached, peeled and devoured at the table. So after poaching them, I have them a hint of smoked and served them with some chilli soy sauce, just like at the seafood restaurants. They turned out really nice. Another item on the menu!